From my experiences with the local outdoor classrooms described above, I am pleasantly surprised, saddened, and hopeful for the future. It was interesting to note the similarities of all of the outdoor classrooms I found. First, they were all, obviously outdoors, but also, surrounded by a lot of greenery, and felt as if it was a classroom in nature. All of these outdoor classrooms incorporated large shade trees surrounding the space, which provide shade from the sun, and thus cooling during the summer. Not only this, but trees provide a sense of “being away” and in a distinct space separated from the surrounding landscape, and daily routines. This is important for attention restoration, confidence building, and cognitive development. The Lewis University Common Grounds had the least amount of surrounding greenery, mainly because of its location directly adjacent to a residence hall. Next, the outdoor classrooms were a similar shape – a semi-circle with the center of the circle being the focal point of the participants within the outdoor classroom – excluding the outdoor classroom found at the Little Red Schoolhouse. This focal point would be the space used by the performer, instructor, or teacher to perform his/her duties for the time. I believe this is a very beneficial design element in an outdoor classroom, for it allows attention to be drawn to the instructor. Also, this type of design lends itself to be great for class discussion, because no matter where one sits, he or she is able to see everyone else. This type of design element matches with the aim previously discussed for designers to have a classroom that is easy to use. Another aim discussed previously with the creation of an outdoor classroom is to provide enough greenery. Major components of the classroom consisted of trees, shrubs, perennial flowers, grass, and stones or bricks for both seating and stepping. I was impressed to note I did not find a lot of synthetic materials – like plastics within the outdoor classrooms. Also, there was not much, if any, metal used, at least from a visual perspective, in the outdoor classroom. For these reasons, I believe it would help individuals feel a closer sense to nature. The use of natural (wood/stone) elements pleasantly surprised me at how well an outdoor classroom can connect you with nature. I was especially pleased with the incorporation of the outdoor classroom at Oak Prairie into a wooded area near the school. On the other hand, the outdoor classroom environment at Lewis University Common Grounds did not have a lot of live plants, trees, or grasses. Proximity to the school/learning building with the outdoor classroom was also evaluated. It is important to create an outdoor classroom that is separated from a school building enough so that teachers and students may feel as if they are in a different setting. Although, it is important for the classroom to be close enough to a school building in case there is an emergency need to reach the building. All of the outdoor classrooms were close enough to a physical building should an emergency situation arise, although I believe a couple were too close to physical structures. For example, Lewis University Common Grounds were just feet away from a residence hall, which may make it difficult to teach and learn in if there is a lot of foot traffic or noise in the surrounding area. Next, the Little Red Schoolhouse was located at an adequate distance away from the nature center, although it was next to a parking lot. This may cause interruption from cars and individuals walking to and from their vehicles. Next, ease of access was found to be excellent for all outdoor classrooms in this report. Whether a sidewalk or stoned pathway was used, a simple and easy to locate path was available for participants to use. I am also reminded about the importance of connection between a physical building and a completely natural setting. The outdoor classroom should be a distance away from a school building, as to promote a sense of “being away,” but should also be used to promote and link the lessons taught within the school building. Oak Prairie provides a good example of this physical connection by providing a short trail from the school building to the outdoor classroom in a wooded area. I am also impressed with the distance between the outdoor classroom area at the Little Red Schoolhouse and the Nature Center, where information learned in one space could be built upon in the other space. Finally, I was reminded at how important an indoor space is when trying to use an outdoor classroom. For example, restroom facilities are often necessary when dealing with children of a certain age, and in case of inclement weather, users of the outdoor classroom could head inside for instruction or shelter – which I found very convenient with the outdoor classroom at the Lewis University Common Grounds. From seeing the outdoor classroom at Oak Prairie Junior High School and Lewis University, I was reminded of how important maintenance is with an outdoor classroom. Along similar lines, maintenance requirements can be lessened if durable, low-maintenance materials are used in the design and construction of an outdoor classroom. It must be continually and properly maintained in order for it to actually be useful. Also, an outdoor classroom must be safe for all participants involved. This means that within the direct walking/seating area, there should only be walking stones or cut grass. In other words, there should be no sticks or glass on the ground, and all stones should be properly secured, and trees trimmed of dead limbs. The direct seating area should convey a stronger sense of order and tidiness to make students feel more comfortable. However, outside of the direct walking/seating area should be kept as natural as possible. And so, within the tree/understory planting area should be grasses, trees, and shrubs of different varieties and in different health conditions. Not only should this, but fallen leaves and branches should be left to decompose as part of nature’s recycling process. This area will require minimal maintenance since it can be used as a nature discovery area, and so should not have much human alteration. If the time and money is to be put into the construction of such an outdoor classroom, then the budget should also provide for continual maintenance. An outdoor classroom that cannot be used safely has no purpose, and will provide no benefits or services to those who actually wish to use it. By proper and regular maintenance, the school or organization will be sure that there is a welcoming and safe outdoor classroom for all to use. With children in general spending much time indoors and smaller amounts of time outside today, I would recommend educators, administrators, and parents to become aware of the potential uses and benefits of outdoor classrooms. Based upon the literature I researched along with my personal observations of outdoor classrooms, I would recommend that educators should plan to bring students outside to use an outdoor classroom at least once a week for 90 minutes. At first, a school district may be hesitant to begin using an outdoor classroom, and so I recommend a student to use it once a week initially. If improvements are seen with students’ achievement scores, social skills, or academic motivation, I would suggest an increase of outdoor classroom use the following school year. An outdoor classroom does not need to only be used when the weather is exceptional. During cooler days or even in the winter, nature discovery activities can be completed to help aid student learning. 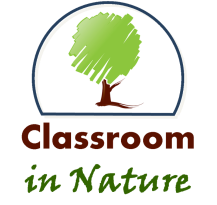 Not only can learning and motivation-building be built upon using an outdoor classroom, but just exposure to nature in general would be beneficial for all students, teachers, and staff involved. This is important to realize when lesson plans may not be fully compatible with being in an outdoor classroom. The outdoor classrooms found and described in this report all have amazing potential now and in the future. Some organizations are actively maintaining these outdoor classrooms and using them to their advantage – they provide a place of rest and relaxation, along with an area where community members or students can gather to learn and experience something new. It is important to never forget the major benefits associated with the use or outdoor classroom environments, especially for children. Increased academic achievement, higher self-esteem, and more stress-reduction are just a few of the many benefits found from outdoor classroom use.